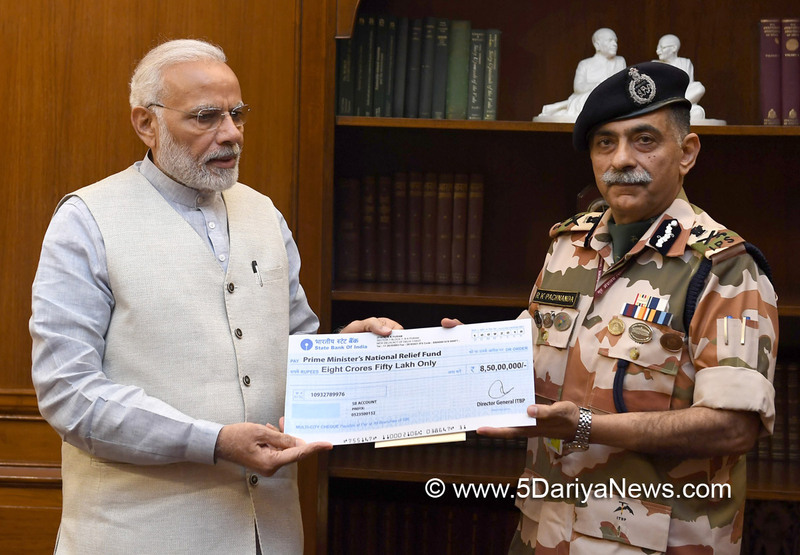 Director General, Indo Tibetan Border Police Force, R K Pachnanda, called on Prime Minister, Narendra Modi today, and presented a cheque of Rs. 8.5 crore towards the Prime Minister`s National Relief Fund. The amount was raised through the contribution from ITBP personnel.